Warm weather has slowed the turning of the leaves a bit. The vibrancy of fall foliage is a delicate balance involving, among other factors, moisture, heat and wind. Every year around this time questions about the foliage abound. Everyone wants to know if the foliage is going to be any good and when it will peak. The term “peak” just means that all the leaves have changed color, but if you wait for peak you’ll often miss some of the more vibrant early-changing leaves, so I find foliage viewing best when the amount of leaves having turned is between 50 percent and 80 percent. While the leaves will change each autumn, individual falls are different in terms of how the colors will appear. It’s a delicate balance between having enough moisture during the summer months to keep the leaves healthy and not too much heat or too much cold as we head through the fall. A hard freeze is horrible for the foliage as it freezes the leaves. Windy conditions can also strip the leaves much earlier than they would otherwise naturally fall to the ground. This year the short-term problem with the foliage is the recent warmth. From Portland to Burlington, Vermont, and down to the Boston area this is been the warmest three-week period in fall ever recorded. Since records go back to about 1872 we can assume that all this warm weather is having an effect on the foliage. This comes on the heels of one of the warmest Septembers on record. The main trigger for changing leaves is the decreasing light, but cool nights and mild days are ideal for bringing the color on slowly and most vibrantly. When temperatures are as warm as recent weeks it does slow down the rate of change and can mute the colors a little bit, at least in the beginning of the season. In the long run, I still expect this to be a great year for foliage viewing. Sometimes I think we over-analyze the changing leaves. The fact is, you’re going to find pockets of great color anytime between late September and late October somewhere across New England. Certain years are notably better than others, but the leaves always change color. The worst years are actually very cool, wet years where fungus can really affect the quality of the leaves. Although the warm weather has slowed things down a little bit, you will be treated to some very vibrant colors over the next few weeks. The one thing you probably won’t be able to do is wear those big sweaters or heavy sweatshirts while looking at the foliage, because the pattern continues to be a warm one. Over the past month, nearly every weekend we’ve had temperatures nearly 1o to 15 degrees above average at some point. This will continue through Columbus Day weekend and even the weekend after. 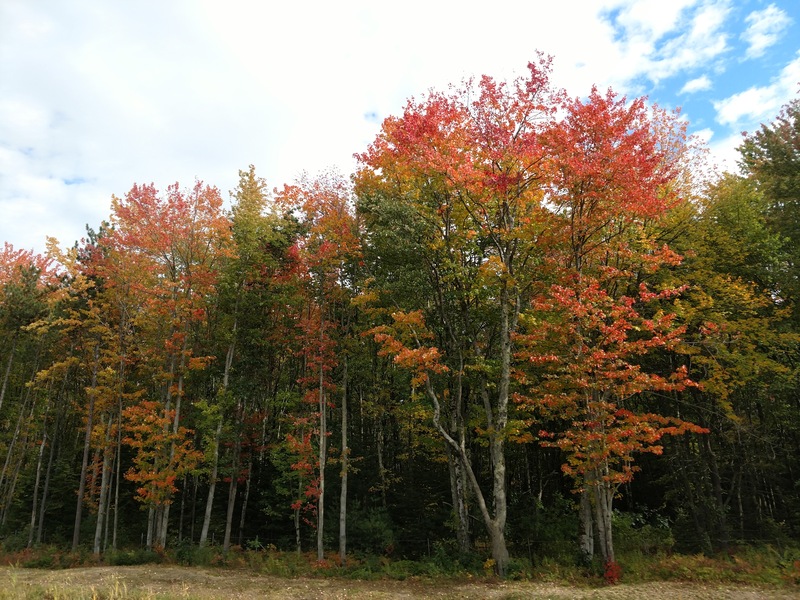 The changing colors of the hardwood forest is one of Mother Nature’s finest displays and we are fortunate to be able to witness it each year no matter what the weather.